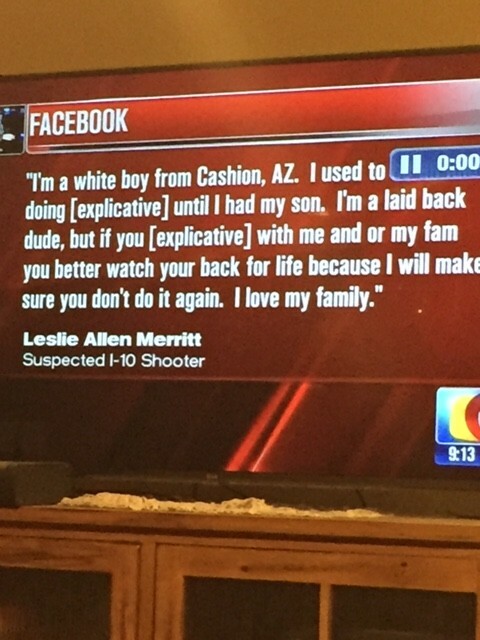 I saw this on the news the other day during a story about the arrest of the alleged Phoenix freeway shooter. I thought what they MEANT to say was “expletive,” which is typically used in place of a swear word (which I would assume news stations use all the time to remove offensive language in quoted material). However, this quote uses “explicative.” Thinking that perhaps I just didn’t understand the definition and it could have been correct, I looked it up on the Merriam-Webster online dictionary. 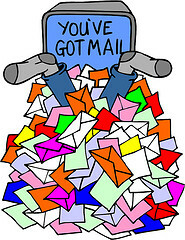 The definition of “explicative” according to that source is “serving to explicate; specifically : serving to explain logically what is contained in the subject <an explicative proposition>,” while the definition of “expletive” is “a word or phrase (such as “Damn it!”) that people sometimes say when they are angry or in pain; especially : one that is offensive.” It looks like actual expletives would have worked in these sentences and NOT explicatives. 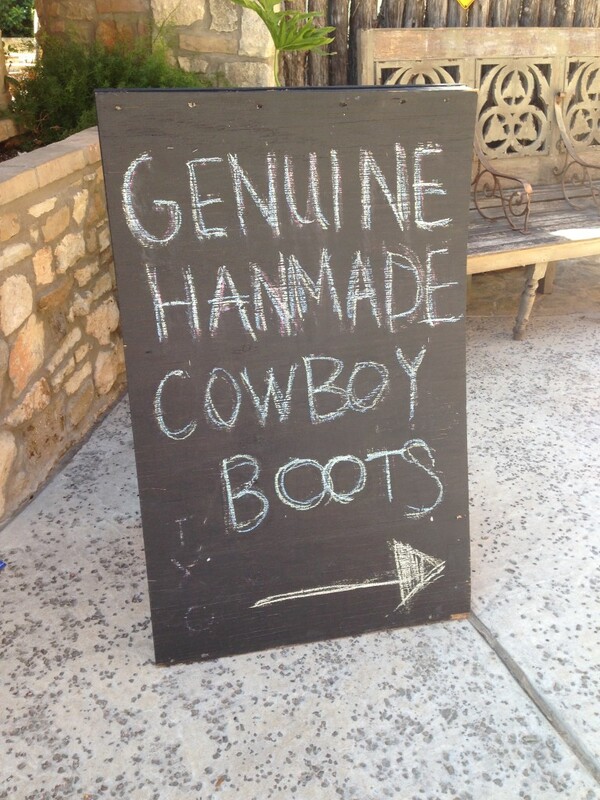 Grammar Giggles – Newcomer . . . Just One? Comments Off on Grammar Giggles – Newcomer . . . Just One? I spent Sunday with friends at the Delmar Racetrack. Weather was beautiful, wine was delicious, and time with friends was amazing. However, as the girls say now, “We can’t go anywhere nice.” They say that because as soon as I pull my phone out, they start looking around for errors. This one I found right inside the gates as we were walking in. 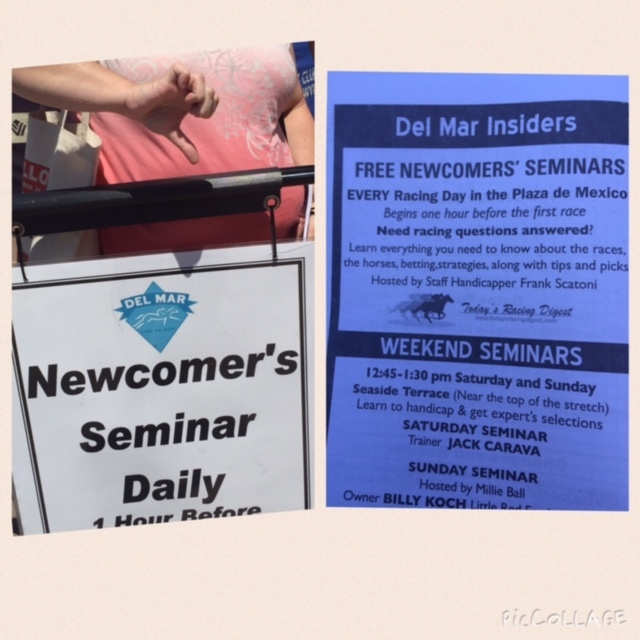 “Newcomer’s Seminar Daily” was one of the first signs we saw. While I commend the Track on helping people new to horse racing to be comfortable with the language, etc., I wondered to myself why they only held a seminar for one newcomer at a time. When you add the possessive, you should test it by taking off the apostrophe (and the “s” if one is there) to check the root word. In this case, that word would be “newcomer” which is obviously singular–one newcomer. They also apparently know the correct way to state it because it was correct in the program. They are training all of the “newcomers,” so you would START with that word and then make it possessive. 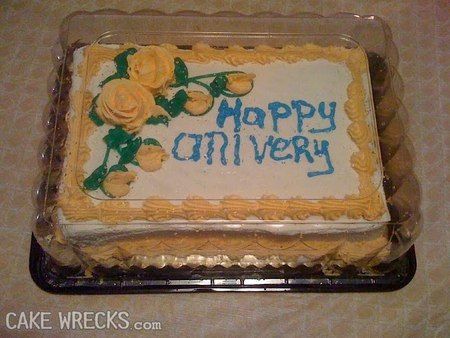 Grammar Giggles – Happy Anniversary Proof That Blog! Comments Off on Grammar Giggles – Happy Anniversary Proof That Blog! Proof That Blog is 3 years old! Thank you so much to my regular readers for continuing to read, for referring the blog to others, and for sending me Grammar Giggles you find along the way. Thank you also to those who stumble upon the blog, include links, and check back every now and then. When I started this adventure, I had no idea that three years later there would be over 300 posts with over 26,000 views (OK–maybe 25,000 because we shouldn’t count when I look things up there) from almost every country in the world. Overwhelming? Definitely! Heartwarming? Very definitely! Hopefully Proof That Blog is helping someone and making a few of you giggle. Please don’t hesitate to drop me a note at proofthatblog@gmail.com anytime you have a topic idea or find a Grammar Giggle. I love hearing from you! Here’s to many more years of proofreading tips!